Choosing the right mortgage can be a tough decision. There are many factors that ought to be taken into consideration in order to avoid any contingencies in the years to come. The tips below might be helpful. Most financial decisions would start with this step. Knowing what you can afford is about knowing where you stand financially. You might think about going through your monthly spending to determine what is within your budget in terms of the house, insurance, mortgage and property taxes. You might also think about including monthly maintenance and utility costs. 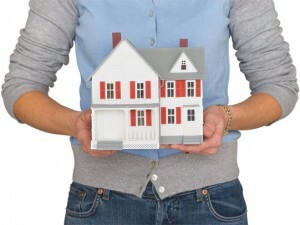 Your credit report would also have to be checked to ensure that get the lowest interest rate possible on your mortgage. This shopping around takes time and energy, but it is unfortunately required in order to guarantee the best decision and more savings. You can consider a mortgage lender or mortgage broker. Brokers would sell you a loan from a lender. However, neither of these professionals would be finding the best loan for you. You would have to carry out the research yourself. Customers often make the mistake of accepting the first loan that they are being offered without thinking about looking around for a better deal. You might also keep in mind that lenders and brokers alike have a consideration for the profit that they would receive once you agree to the terms of a particular loan with higher interests or higher fees. Understanding and comparing prices yourself is the best way to strike a deal.